The world is changing and so are all enterprises in the world. 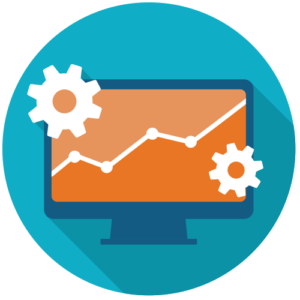 The challenges of today are not only how to incorporate all those shiny and fancy new concepts and technologies swiftly. But also how to keep making better use of our legacy, during the period we are replacing the legacy with new and modern solutions. 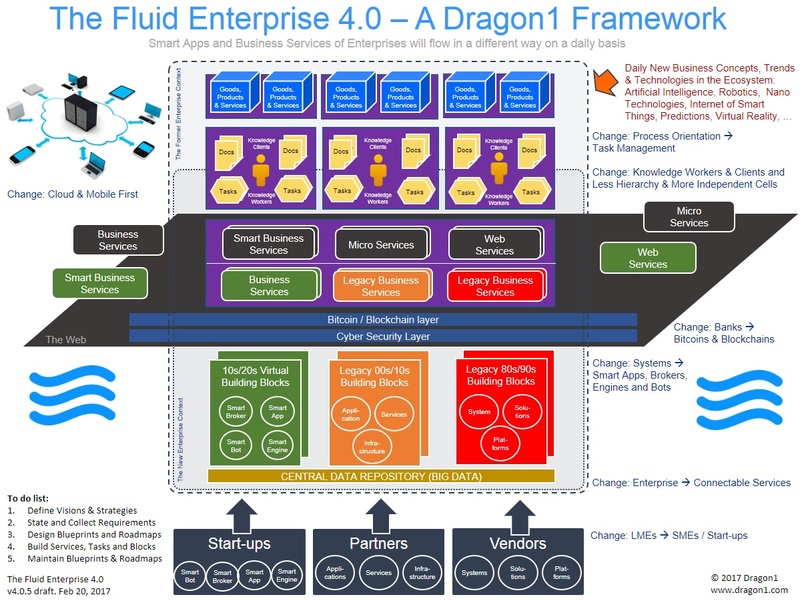 To cope with this, we at Dragon1 have created a framework for the Enterprise 4.0. Below you see a high-level enterprise architecture diagram of an Enterprise 4.0. 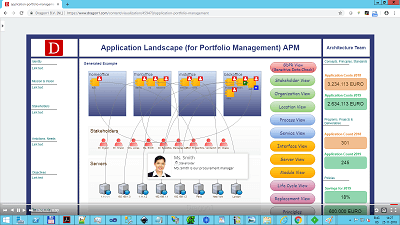 You can make use of the Dragon1 platform to build digital models of your enterprise, like landscapes, blueprints and roadmaps. And with these visualizations you can communicate your vision, your business strategy, new concepts and technologies, in short: support better decision-making. The visualizations are also very suitable to use as a guide for your projects of the digital transformation. The framework below will help you to cover all the important topics. 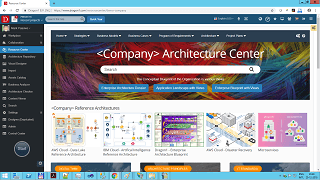 Every topic in this framework can actually be a completely new view of the enterprise, like the Microservices View or the Blockchain Layer View or the Artificial Intelligence View.